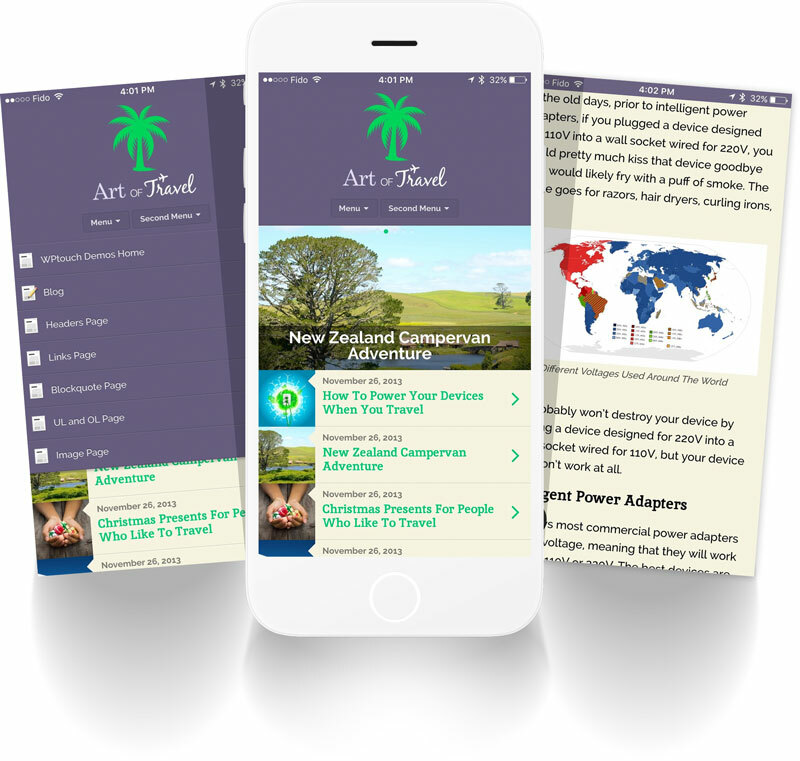 Mobile WordPress themes, designed from the ground up to work with all kinds of websites and content. Polished mobile themes that work seamlessly with WordPress. 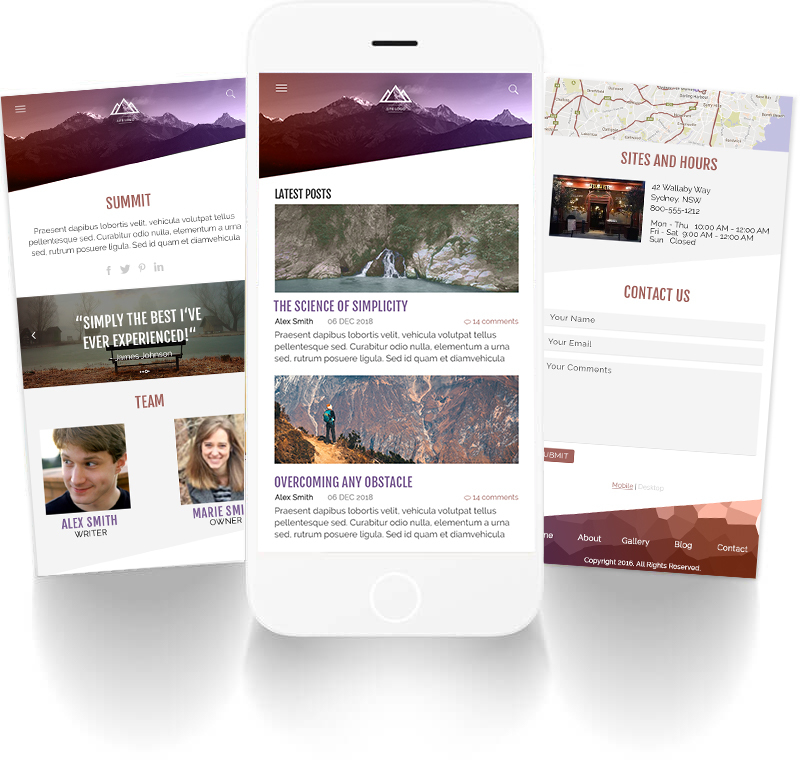 Custom post types, custom menus, feature images and more- WPtouch was made for WordPress. WPtouch natively handles audio, video & pictures, resizing them automatically. Built entirely with just CSS & icon fonts, theme interfaces are crisp & gorgeous on high DPI displays. Change colors, fonts & set logos easily. Customization options let you take full control. Themes for writing, selling, sharing, blogging or business-ing. 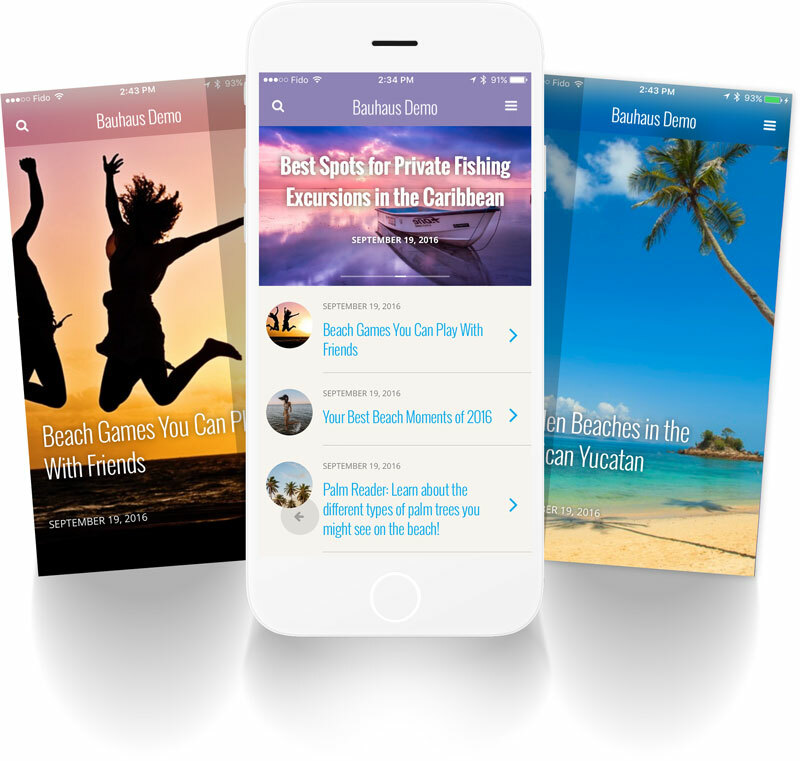 Each WPtouch theme is flexible, easily branded and customized. Summit is highly customizable, featuring advanced color selection and theming capabilities. It is designed for a wide variety of sites, and can be used for for blogs, virtual, or brick and mortar organizations. Bauhaus is one of our more flexible themes, and is designed to easily take on the look and feel of your branding. Setting the logo, color and type to match your desktop theme is easy. 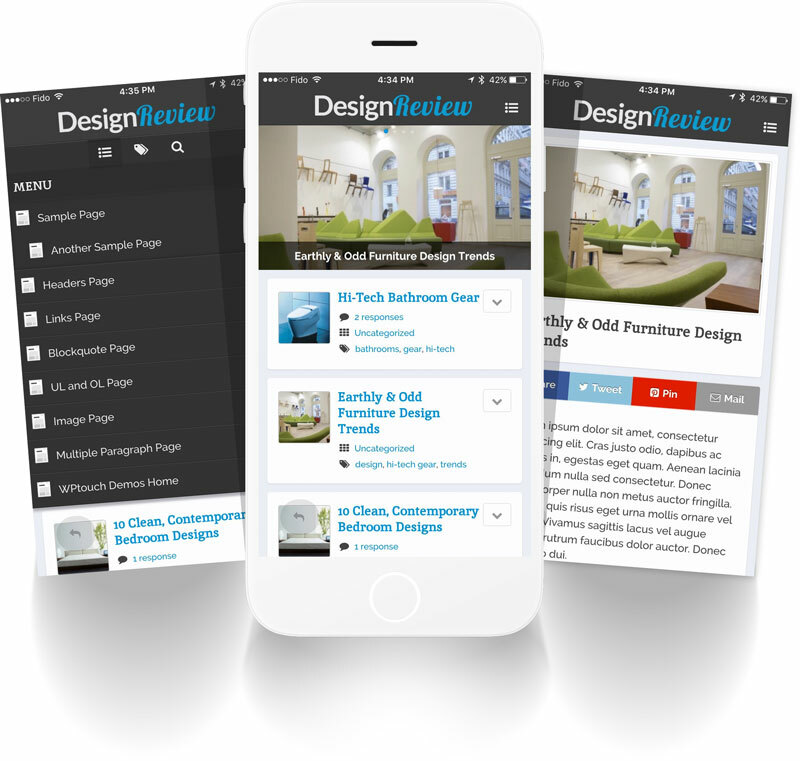 Lightweight and retina-ready, Bauhaus features flat design and a clean interface, along with intuitive navigation for visitors. Simple is one of our most flexible themes, and can be used for small businesses, blogs, page-driven sites, schools, and more. Its unique drop down menu is playful— while its structure and navigation is clear and uncluttered. 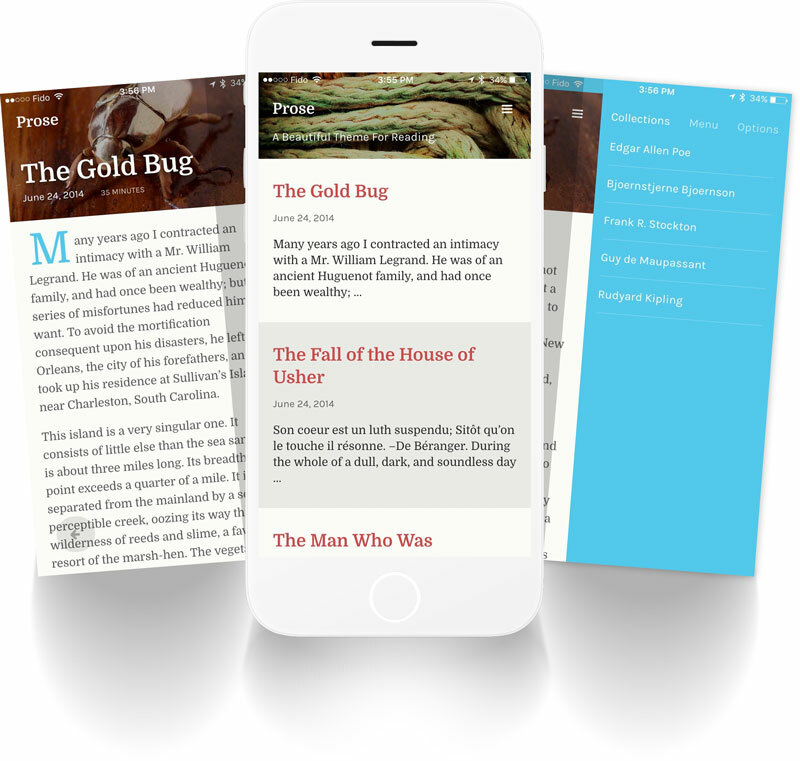 Prose was beautifully designed to showcase content— if you’re a writer, or the focus of your website is sharing great content, Prose was designed to make it shine it on mobile. Prose features unique article time remaining functionality, and unique sharing options when readers finish your articles. 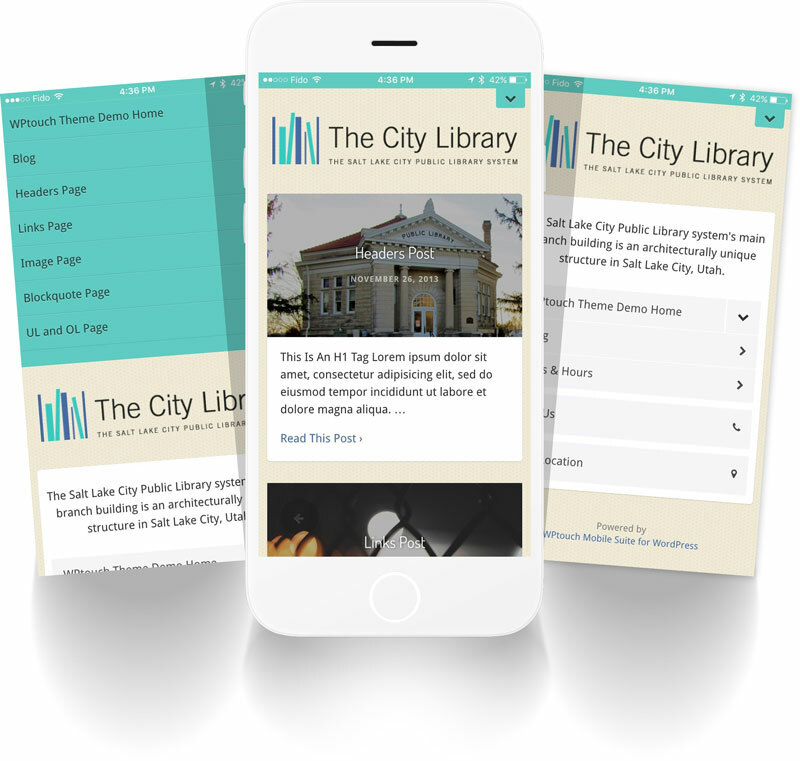 A simple off-canvas menu also allows visitors to change text reading size, view collections or categories of content, and more. Open was designed for small business, especially brick-and-mortar stores. Open offers native support for operating hours, click-to-call and locations. Easily use its flexible content display to advertise menus, sales, offers, or whatever else your business provides your customers. CMS is a great choice if you have lots of content— posts, pages, categories, custom taxonomies and /or post-types— CMS can handle it. Designed for easy navigation through content, CMS supports all of WPtouch Pro’s major features. 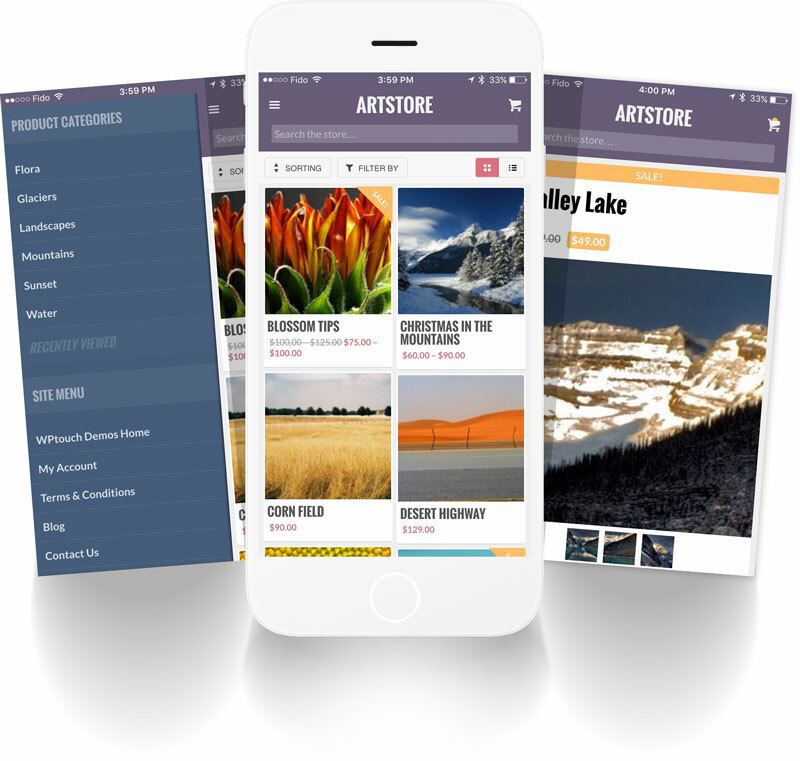 MobileStore is the most advanced mobile theme for WooCommerce, ever. Designed for mobile, with no compromises. 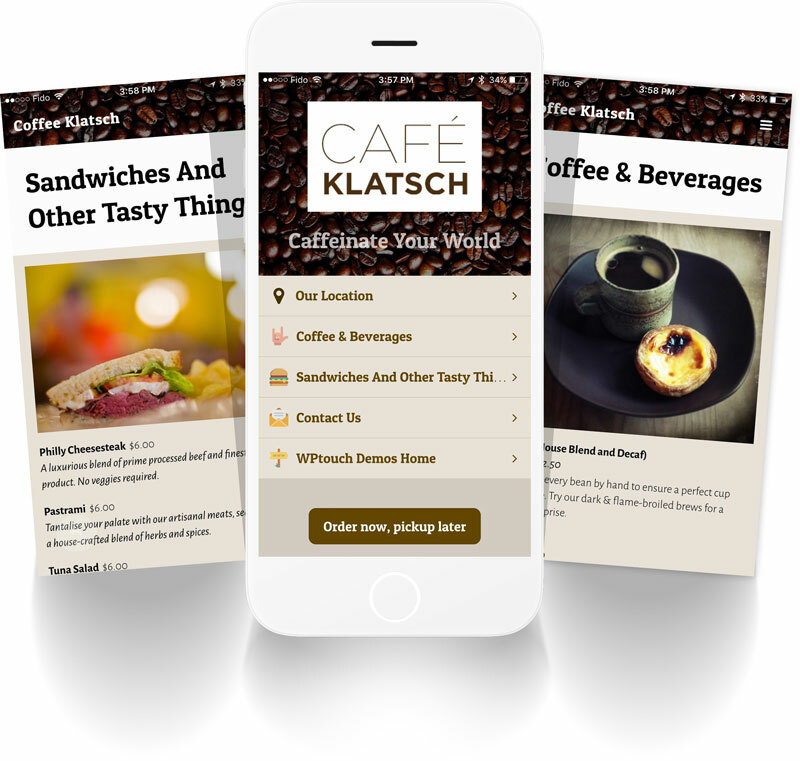 Off-canvas menu and cart support, coupled with multi-touch product pages and one-page checkout— easily make MobileStore the best way to sell via mobile online.